"Let&apos;s fix that little scarf there," says Kanye West, clad in a firetruck red blazer with a Goyard briefcase in front of him and a Louis Vuitton-monogrammed shoe bag casually draped on top of it. "I have so much to stunt about that I don&apos;t know where to start—it baffles me," he continues before positing the question: "Who do you know with two thumbs and their own Louis shoe?" It&apos;s 2009, and Kanye West is sitting in an opulent hotel room with a luxe Persian rug beneath him and rich sepia tones lending to the ambience. It almost looks like he&apos;s on a nouvelle vague film set. He&apos;s surrounded by sneaker samples from what looks like his Louis Vuitton sneaker collaboration, a series of three silhouettes (two colorways each) that he had a hand in designing. It&apos;s a project that stemmed from a longtime friendship with then-Louis Vuitton creative director Marc Jacobs, which began with an intimate, hours long phone call about the artist Takashi Murakami, with whom Jacobs had collaborated with in 2002 on a series of super poppy LV prints. "We really got along, and it was a really fascinating conversation," Jacobs said to Elle magazine. "Eventually, we began talking about sneakers, and that&apos;s how his partnership with Vuitton happened." The resulting video above was taken during Paris Fashion Week in January 2009. In a nutshell, fashion weeks for menswear occur across the globe in January and July, and beyond the glitz and glamour, it&apos;s where editors, buyers, and other industry types see designer collections for the upcoming season and place orders or decide what to feature in publications. It&apos;s a forward-looking model that&apos;s become all the more accessible thanks to the Internet. Kanye West and company weren&apos;t strangers to fashion week, but this was the season they arrived. They dashed from show-to-show in maverick fashion, perhaps not really sure what they were doing, but going with it anyway. This was a time when Kanye West was making his transition from a mere hip-hop style god to the genre-transcending, fashion-obsessed, "You can&apos;t tell me what dreams to have!" creative he is today. 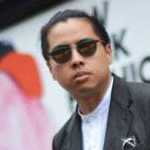 "I was just like &apos;this is the craziest thing I have ever seen,&apos;" remembers photographer Tommy Ton in an earlier interview. This photo was taken as West&apos;s entourage (including a pre-Off-White Virgil Abloh wearing a Raf Simons-designed Jil Sander marble print shirt) as they stepped out of their car at the COMME des GARÇONS​ show. "I thought that moment was just so… it was like a bunch of cartoon guys. They looked so animated, I thought it was really funny," continued Ton. "I was laughing so hard when I saw the way that they placed them in that episode!" said Tommy Ton. "It was the same position as the image!" Since then, Ton and West have become good friends. Ton was even given awesome access to shoot certain Watch the Throne concerts and a few of West&apos;s Paris shows, where he was often clad in a custom Masion Margiela wardrobe, replete with a couture mask. 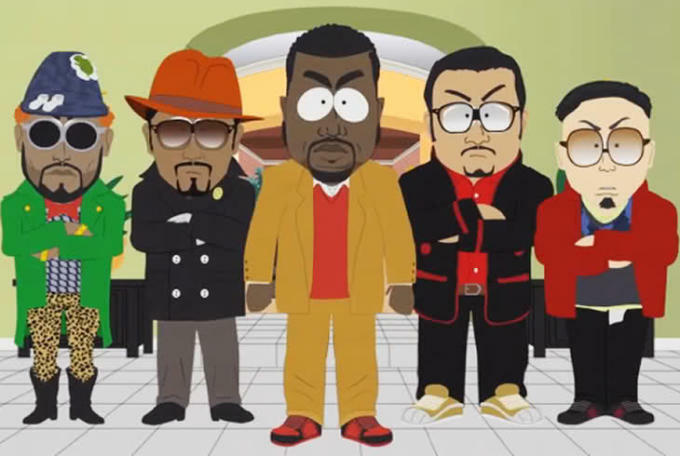 Ever self-aware, West references the "Fishsticks" episode not just in his music, but more recently, one of his interviews with Zane Lowe: "Do you remember our South Park photo? Remember how funny that was? Do you think there&apos;d be a Givenchy in the hood if it wasn&apos;t for that South Park photo?" 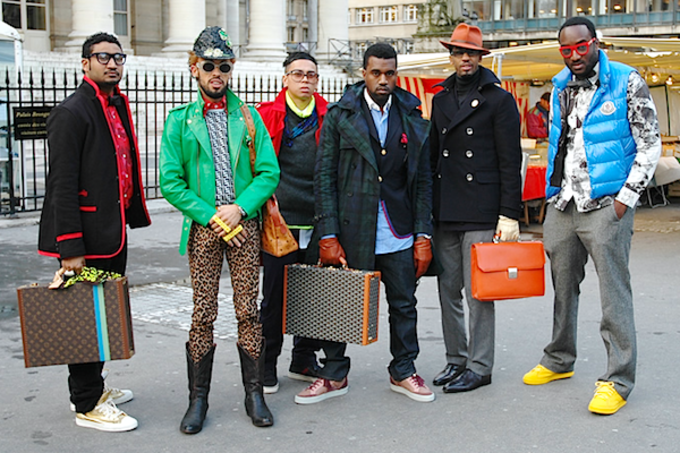 That Fall/Winter 2010 fashion week marked the point where Kanye West planted his flag in the world of luxury fashion. It would lead to an internship at Fendi, the cancelation of his Pastelle line, and a long design journey encompassing two Nike sneakers, two womenswear collections, and his highly anticipated Yeezy Season 1 collection with adidas Originals. "Kanye is so intelligent, so creative, and so driven," recalls designer Marc Jacobs in the same Elle interview. "Even [now] with his success, he still reads constantly, he studies art and fashion constantly. He has passion. He is always dedicated to his work, creatively. And I really like him." 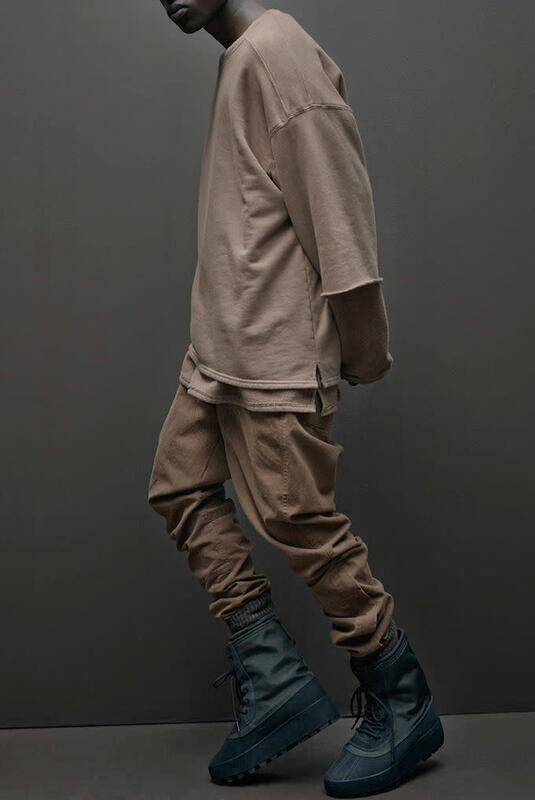 Yeezy Season 1 clothes and the soon-to-be-released Yeezy 950 duck boot. Image via adidas. West learned design and honed his taste by immersing himself with the works of lauded designers like Yves Béhar, Le Corbusier, and Axel Vervoordt. That trip to Paris sparked something insatiable in him: a desire to compete at the highest possible global level, to work with the best in order to be the best. And importantly, West isn&apos;t selfish with his enlightenment, in fact, he&apos;s more than eager to impart his knowledge to the younger generation, not just in during his performances or products, but even by speaking with students at SAIC. In a moment of the college dropout coming full circle, West was awarded an honorary doctorate earlier this year. As thirsty sneakerheads overpay resell prices for West&apos;s recently released Yeezy Boost 350, and the Internet hype machine refuels itself with the desire to cop the just-leaked Yeezy 950 duck boots, 2009 will be remembered as the year Kanye West actively decided to step his fashion game up.